The next Maidenhead coworking day is confirmed for 7 December. Don’t work at home or a coffee shop by yourself, or commute if you don’t have to, when you can come along with your lap-top and cowork with like-minded others closer to home. 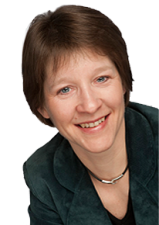 Lunchtime Speaker Susan Elliott, Director of the Berkshire Business Growth Hub, will host a session on business strategy and how to think a little differently about your business planning for 2017. The BBGH provide a range of advice and support services to businesses in Berkshire from start-ups to those seeking international expansion helping hundreds of SMEs in the area. Susan will stay around until 3:00pm, if anyone would prefer a one:one conversation. £10 for day (pay at door) Price covers venue hire, WIFI, unlimited teas and coffees, snacks. If you haven’t come before, bring your laptop to work. We have a quiet area if you want silence, while we encourage you to interact with your fellow coworkers around the free flow coffee and snacks in the bar area. There will also be plenty of time to meet and learn from others over the lunchtime discussion.